Members of Maine-Endwell Little League and their parents celebrated Memorial Day with a game at Zimmer Field in Maine, NY. Thanks to Dr. James DeSantis, the kids learned a little about the field's namesake--Capt. Jerry Zimmer, USMC, and the meaning of patriotism. Dr. DeSantis then did some research and found his way to Jerry’s blog site. After learning of our efforts to bring home Jerry’s remains from Vietnam, he passed along this information to the other parents and children of Maine-Endwell Little League. 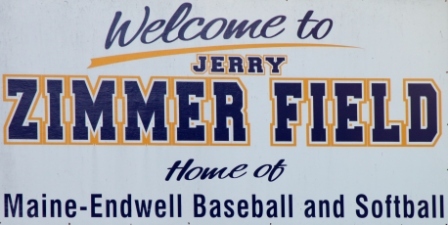 Jerry would be proud of the kids who are putting Zimmer field to good use and the parents who are teaching their kids about patriotism—qualities that helped Jerry achieve so much in so little time. 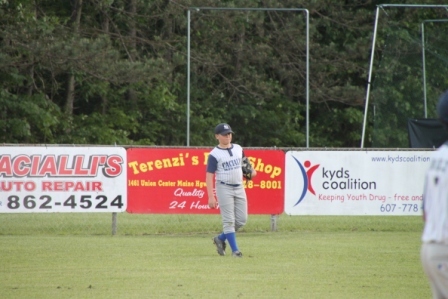 Many years ago, the town of Maine—a rural community, located near the Triple Cities of Vestal, Endicott and Johnson City in upstate New York, dedicated the Little League field to Jerry, who was a hometown hero. Jerry was the first boy to earn a college degree in the town of Maine and go on to become a Marine Corps jet pilot. Respect for our military begins at home, and the families of Maine- Endwell Little League are doing a great job. Their website includes a beautiful tribute to Jerry. Please take a moment to visit www.maine-endwelllittleleague.org/. Kudos to the League’s web administrator, Terry McFadden. I like your work! 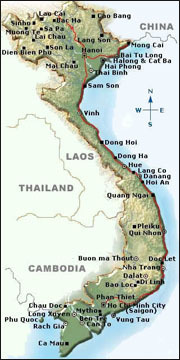 This entry was posted on Wednesday, June 8th, 2011 at 1:00 pm	and is filed under FOCUS ON PEOPLE WHO HELP BRING MIAs HOME, News from Others, Personal, Vietnam MIA. You can follow any responses to this entry through the RSS 2.0 feed. You can leave a response, or trackback from your own site.